We've been remaking some of our previous posts lately and updating where we could improve things so it has been a while since a we had a whole new adventure but low and behold, here we are again, just like old friends. We made rack of lamb on the big green egg after finding a nice rack or two at Costco that were french cut (the meat is cut off the bone to form a lamb popsicle). We applied our reverse sear technique to get them to the correct temperature and the results were excellent. 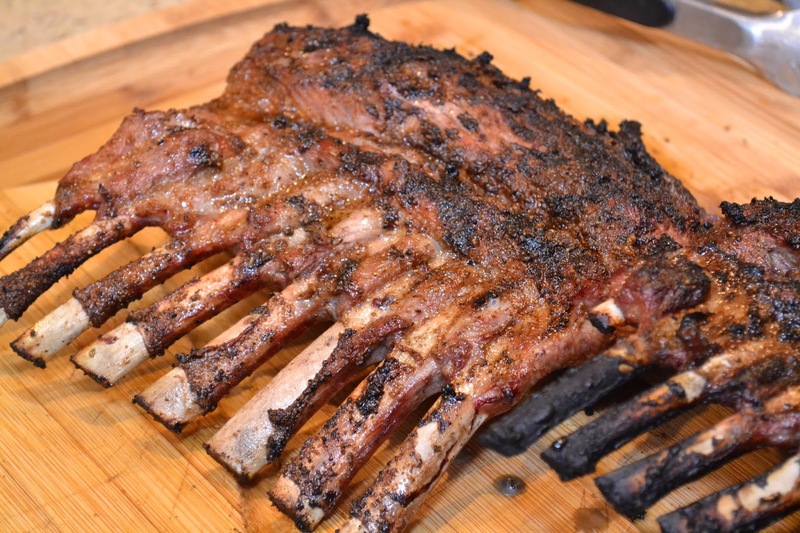 We googled around to find a great recipe for cooking rack of lamb on the BGE and we found this one on the dizzy pig bbq site as an example and loosely followed along. 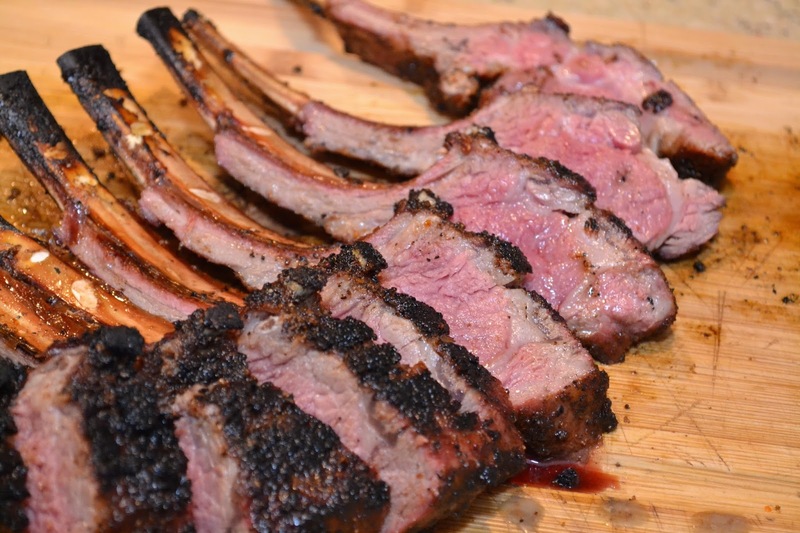 We used our own store bought rub and reverse sear method to cook. Pour a glass of wine. It is 92 degrees here so hydration is key. 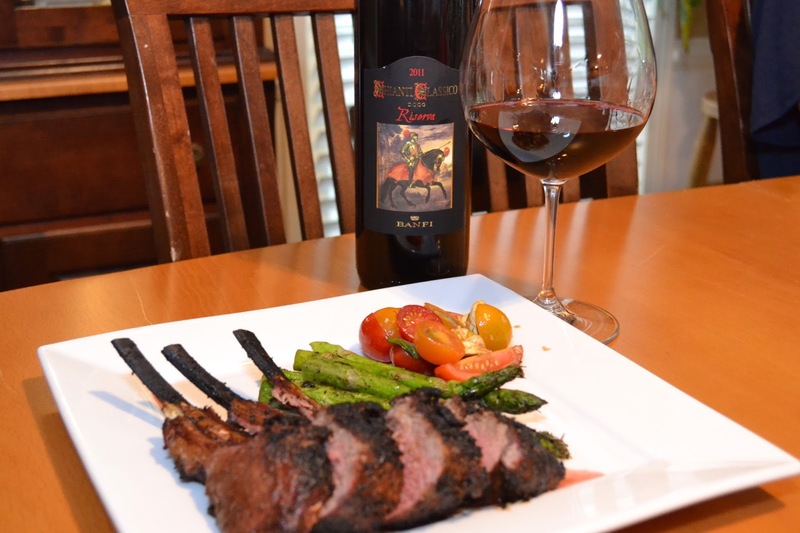 What good is a great rack of lamb if you are dead? 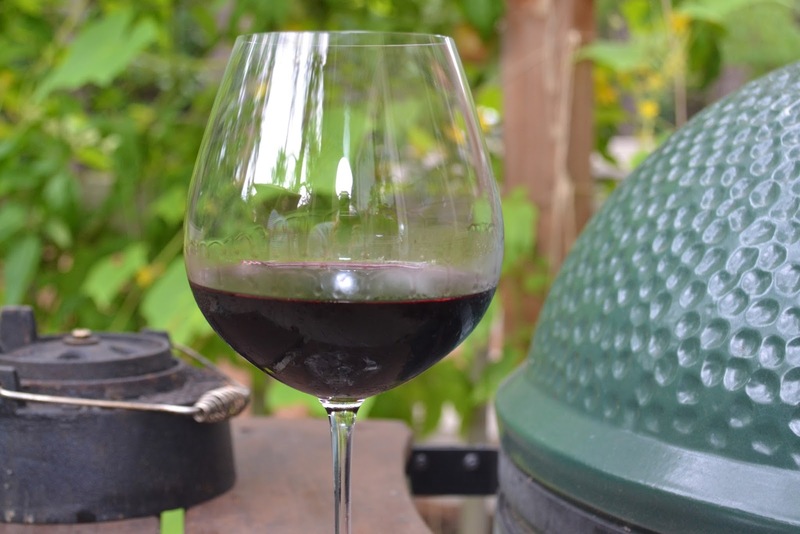 Heat the Egg to 300ish, trim the fat, rub with olive oil and caliente rub then cook until 90 degrees internal, pull them off to rest, run the egg up to 600 degrees and cook 2-3 minutes each side until 110-125 internal temp. 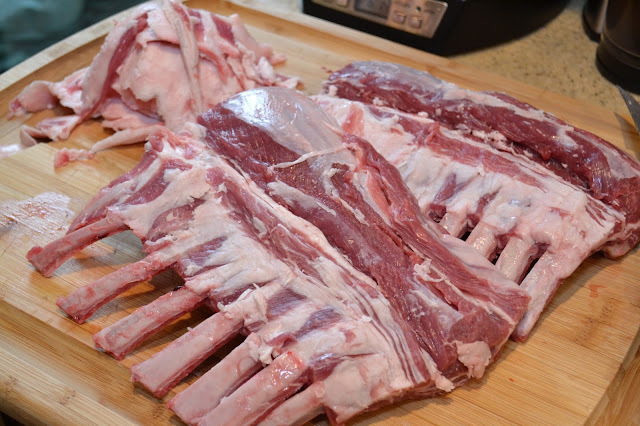 First go grab two racks for 4-5 people and use your boning knife to trim off the excess fat. 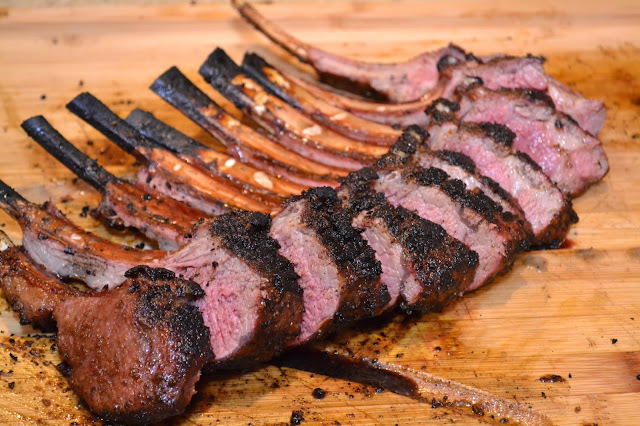 I have been reading Franklin Barbecue: A Meat-Smoking Manifesto lately and at his recommendation I ordered the knife he uses to cut and trim his briskets. So I could feel more professional and also because I have been struggling with cutting up my briskets. 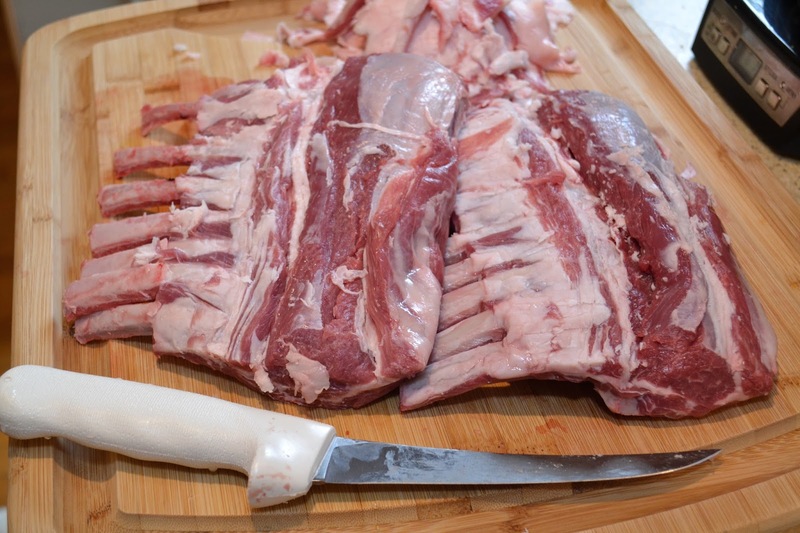 The boning knife is inexpensive and razor sharp. .I trimmed a lot of the fat cap off and trimmed into the groove of fat where the meat and the bone meet. Got it as lean as a could. heated the lamb until the internal temperature was approximately 90 degrees. 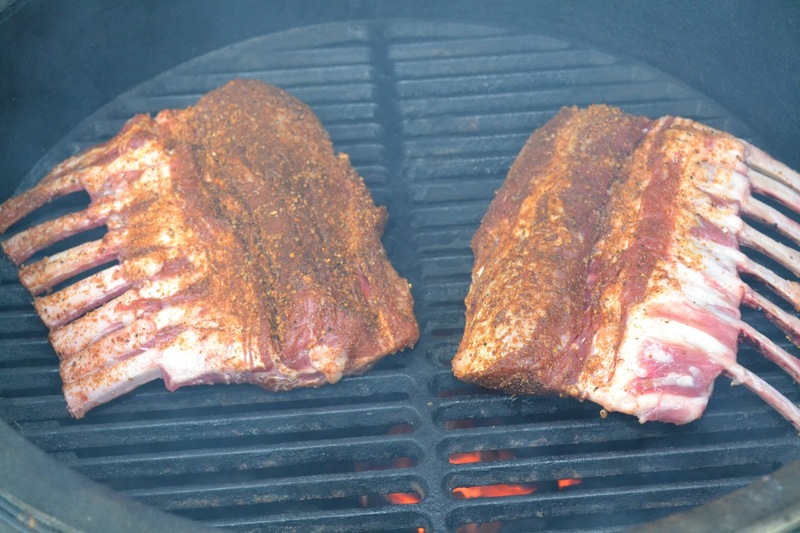 It took about 5 minutes a side at about 300 degrees. 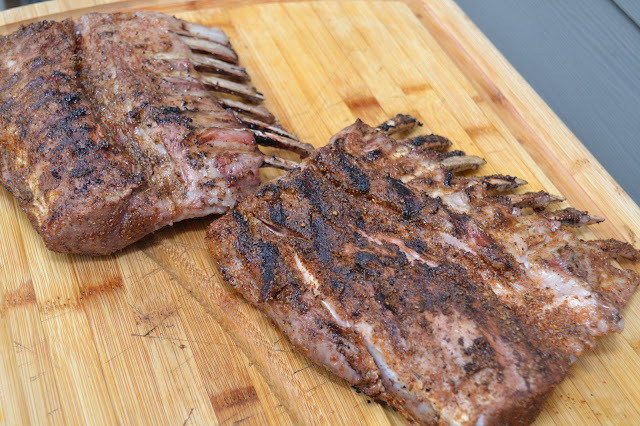 Used the roast knife as recommended by Mr. Franklin to slice up the rack. 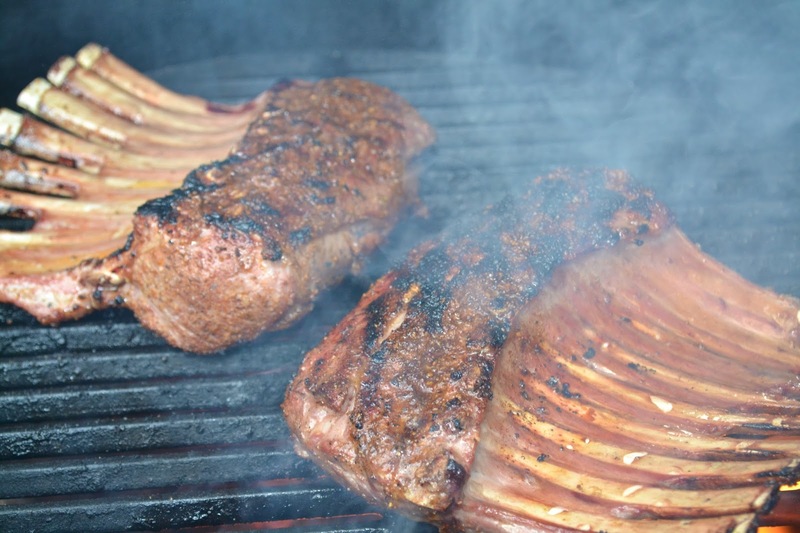 Again, razor sharp and made quick work of the lamb. 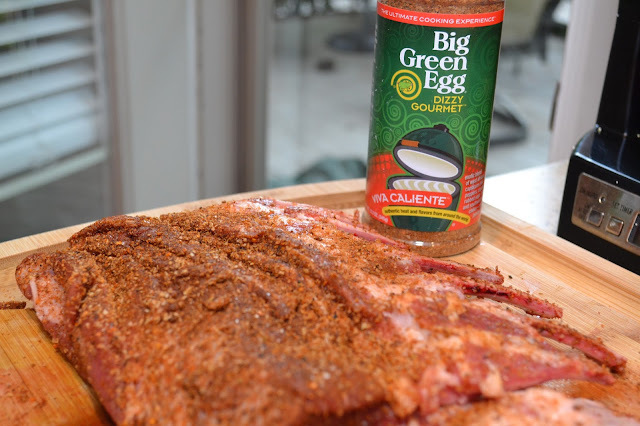 Can't wait to try it on a brisket. 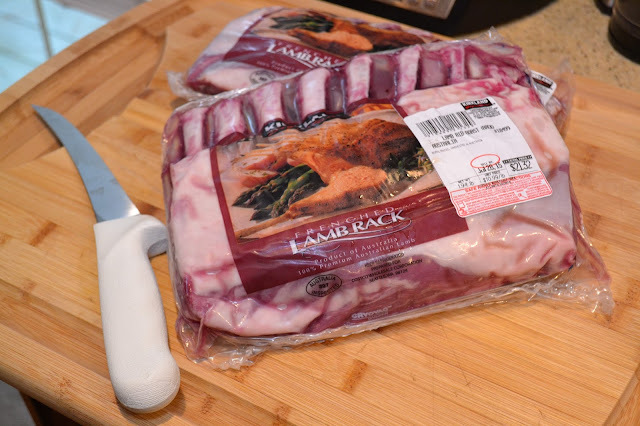 The act of cutting the rack into the little individual lamb "popsicles" is to make a lamb chops. This is the good stuff. Don't be afraid to make this one. Quick and easy. Everyone loved this one, it was tender and perfectly cooked. It was quick and easy but not inexpensive. Probably $10 per person in food cost for the lamb but it was worth it. The viva caliente rub made the bark a little spicier than someone with a low threshold might like so you may want to tone down the rub if you have sensitive palates.